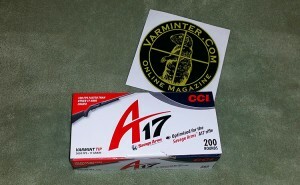 The new CCI A17 .17 HMR Varmint Tip ammunition is now available. 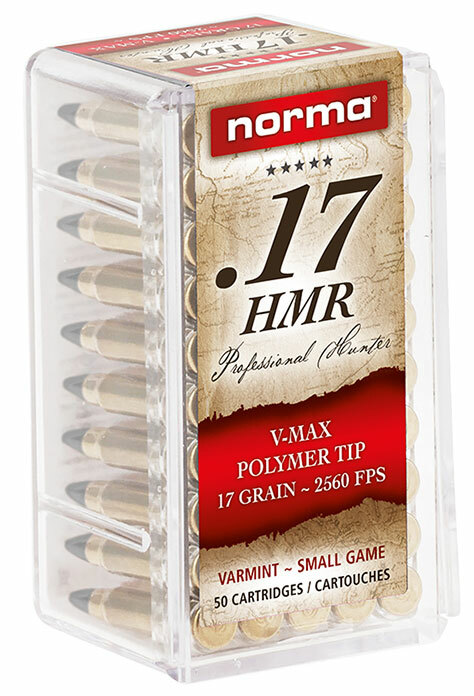 Announced at the 2015 SHOT Show, it is the first new .17 HMR ammo available in quite some time. 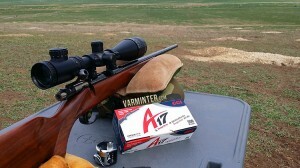 The release of this ammunition coincides with the release of the new Savage A17 semi-auto .17HMR rifle. 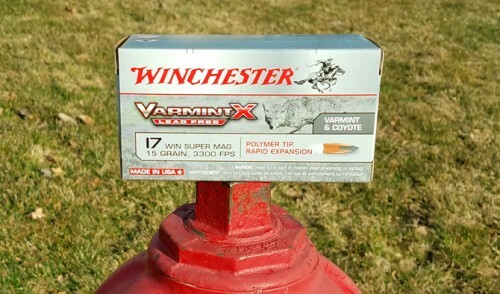 However, many hunters who use bolt-action 17 HMR rifles, wanted to know if this new ammunition would perform well in their rifles, and be worth the slightly higher price. Since we had a trip planned to NE California for ground squirrel, we ordered a box to be shipped directly to the motel we were staying in order to complete a full field test. 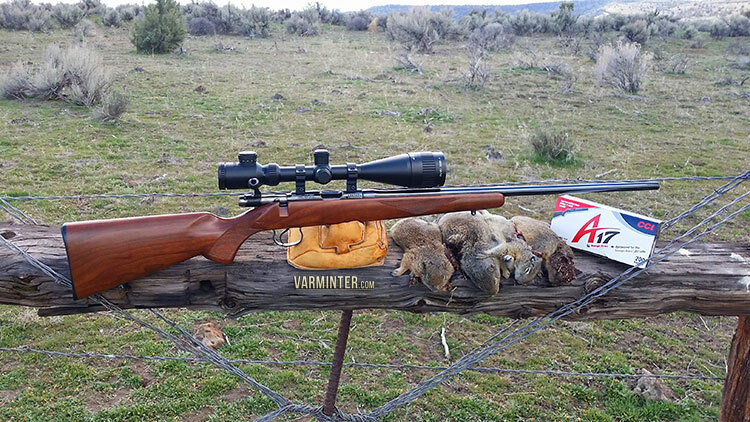 In a nutshell, we had good results and killed a lot of ground squirrels with our CZ Model 452 .17HMR (bolt-action, with a 22.5″ barrel) and the new ammo. 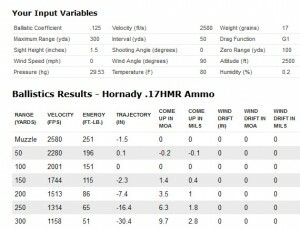 Before we get ahead of ourselves, lets run down what this new ammunition is and compare it to some of the standard .17HMR ammunition out of the CZ bolt-action rifle. 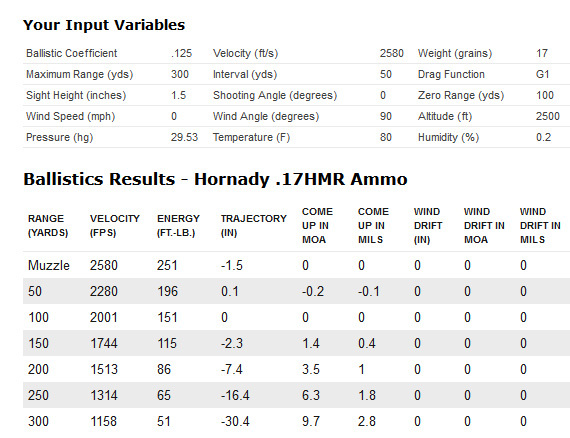 For this comparison, I will only include the current manufactured Hornady .17HMR. 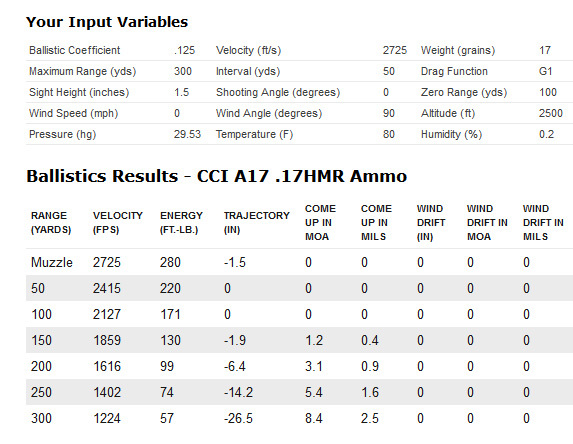 In our tests, we found that the CCI A17 ammo was running an average 2725 feet per second, a full 75 fps faster than listed. 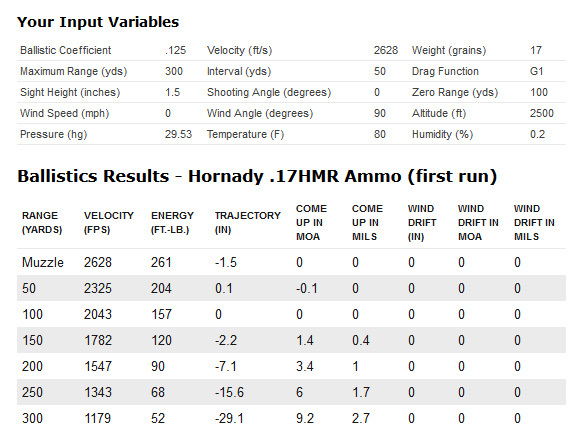 However, the Hornady .17HMR ammunition also ran faster than listed, with our set-up. Our average speed was 2628 fps. Comparing the two rounds, the new A17 ammo barely edges out the traditional ammunition offering in energy and trajectory. At 200 yards (extreme limit of the .17HMR, in our opinion), the trajectory does show a 1 inch difference, which makes for a slightly flatter shooting round, when you need it to be. However, the energy difference is minor, and does not allow you to move up to larger game, at extended ranges, with the new ammunition. Our belief is that if you are looking to extend the range of your currently .17HMR bolt-action rifle, by 40-50 yards, the new ammunition makes sense. 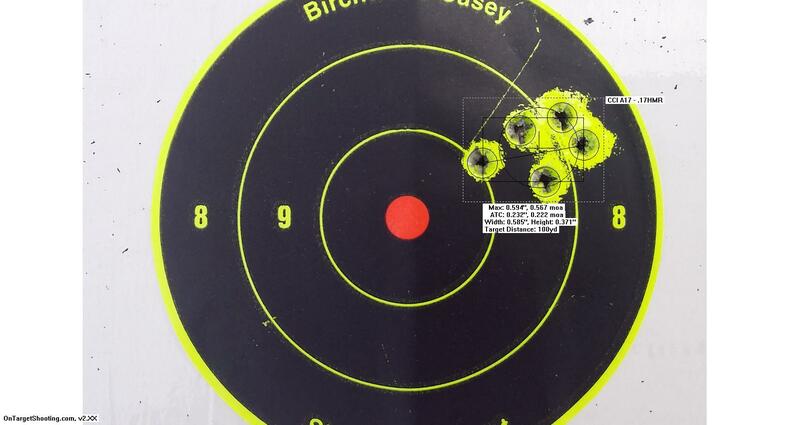 Accuracy was very good with the CCI A17 ammunition, with our average groups being in the 0.65″ range at 100 yards, with our best group being 0.594″ (0.567 moa). 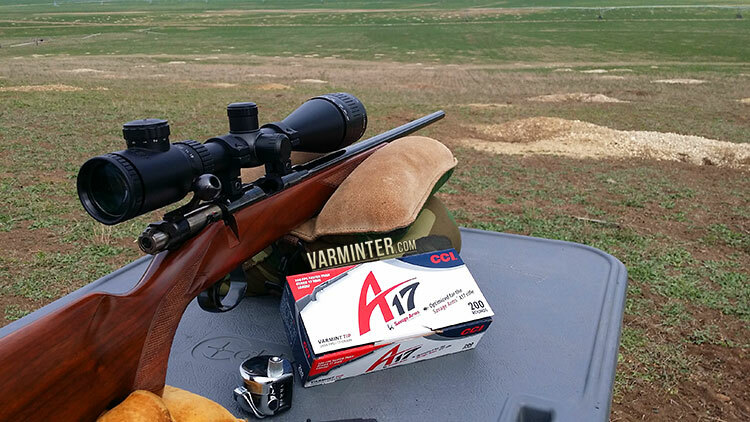 The accuracy of this ammunition shows that CCI continues its excellence in loading high-quality rimfire ammunition. We ordered a brick of the A17 ammunition and had it shipped to North East California, where we would be hunting for ground squirrel in the outlying farm areas. This area has millions of ground squirrels, with yield losses up to 45% of the crops (mainly alfalfa). 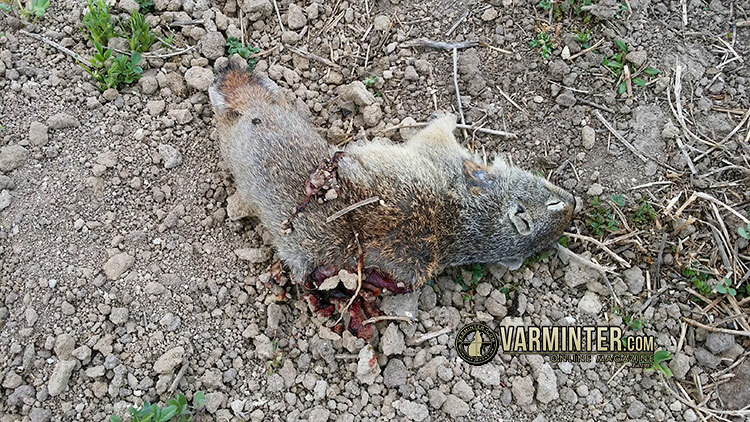 Because this is feed for animals that are to be eaten, the farmers cannot poison the squirrels and risk allowing the poisoned carcass to get baled into the feed. As is with nature, however, nothing goes to waste and the area is home to many raptors, including bald eagles, that feed on the ground squirrel’s shot by hunters. 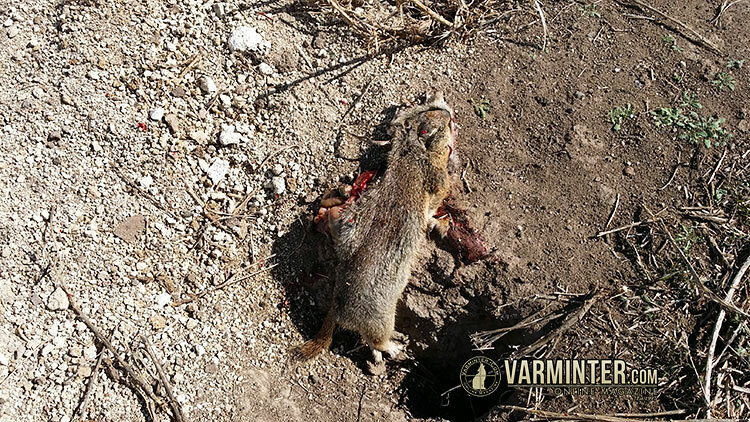 Add predators like coyotes and badgers, as well as other ground squirrels eating their own, and a well-shot field is picked clean by the following day. In fact, we had bald eagles and other raptors land and begin to feed, while we were still shooting the field. We simply changed our shooting direction to not risk injuring the birds. 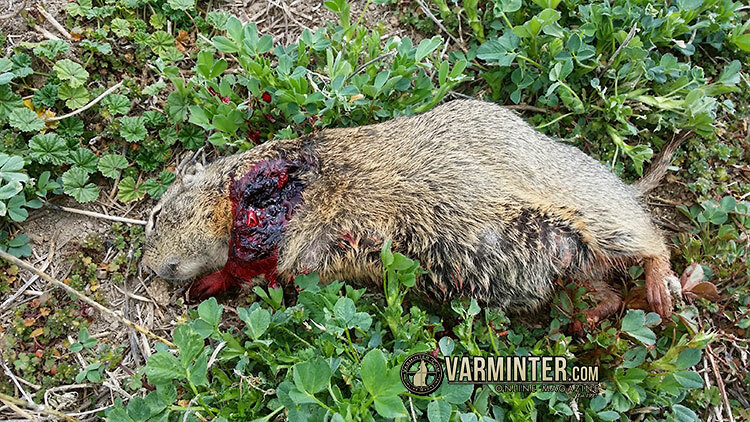 They continued to feed, while we kept filling their “grocery cart” with the ground squirrels killed by the .17HMR! I did not get a chance to chronograph the rounds before I went hunting, so I based a lot of my hold on what I knew to be true with the traditional .17HMR ammunition. After sighting-in, I began to shoot ground squirrels. 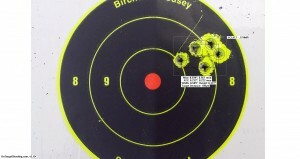 The ranges were close, at 50 yards and all the way out to 179, 183 and 225 yards. 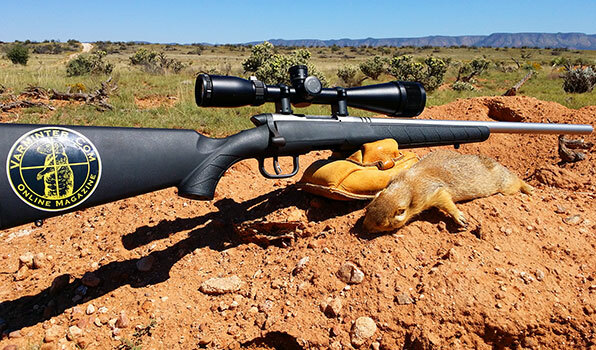 It took me a few high shots to realize that placing a ground squirrel in my crosshairs needed to be adjusted for the flatter shooting round. I know that 1/2″ to 3/4″ doesn’t seem like much, but on these small Belding’s Ground Squirrels, it meant I was shooting over their 2″-3″ (in width) body. 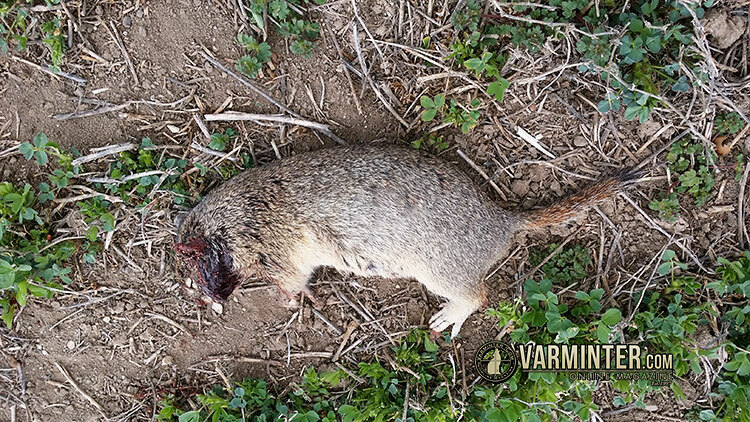 Once I realized my mistake, I began to consistently take ground squirrels, with the expected result of a quick kill. 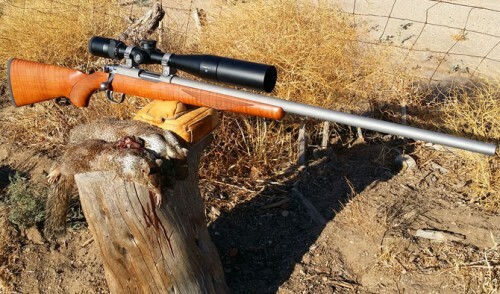 I did not get any run-offs, except for one hit at 178 yards, where the bullet passed through and the ground squirrel ran a few feet, before rolling over and kicking in his last death-throes. 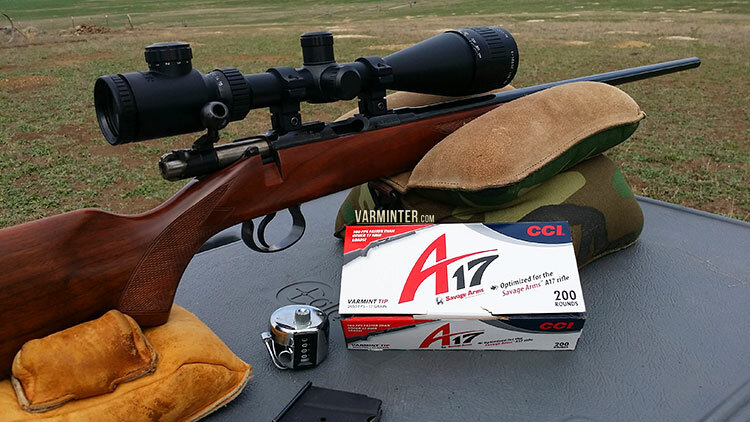 Field results with the CCI A17 .17HMR ammo were good! 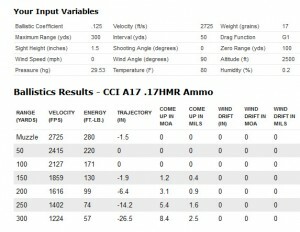 The CCI A17 ammo performed very well and there was a slight extra “pop” when hitting the ones out at the 125 to 150 yard mark. I chalked it up to the extra speed and energy of the bullet, but it could have also been a change in the wind. I like to think it was the former! As stated above, once I found my hold, it was successful shooting for a few hours, including shots that I would have passed on due to distance, had I not felt that the flatter shooting, harder hitting ammo, would make a clean kill. My estimates were correct, so shots out at the 175 yard average mark were more than just a stretch, but instead became a norm that day. All in all, I was very happy with the performance of the ammunition in the field. However, the thought of it being worth the extra couple of pennies per round still rumbled around in my brain. At the end of the day, being able to comfortably extend my range past what I would normally shoot a .17HMR, justified the small extra cost. Because CCI is selling this in bricks of #200 per box, the prices seem to be in the high range, with most brick and mortar stores selling the brick for $60.00 ($15.00 per #50), but some online retailers are selling this ammunition for $53.00 for the same brick, bringing the per #50 price down to $13.25. 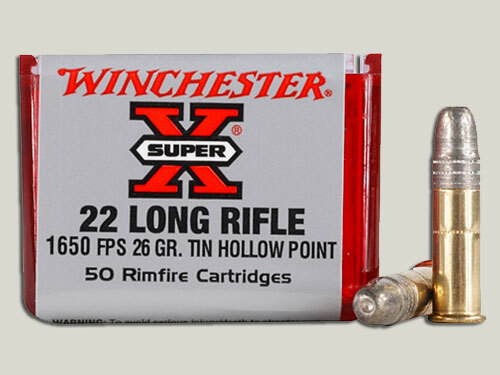 At the $53.00 price, I believe folks should take a chance and try this ammunition in their bolt-action .17HMR rifles. 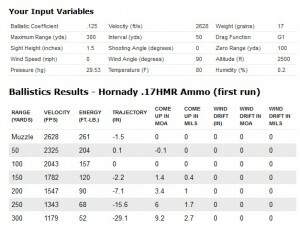 As we all know, ammunition performs differently, depending on the rifle. Some will have better results than we had, while others will fall short. Either way, it is something new in the .17HMR realm, so what is not to like about it?